Former Haitian dictator Jean-Claude Duvalier was charged with embezzling public funds Tuesday, but a judge must still decide whether the indictment can go forward. The charges were filed after the man known as "Baby Doc" underwent more than four hours of questioning at the chief prosecutor's office in Port-au-Prince. 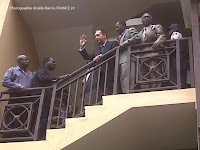 Duvalier, who left the office accompanied by police officers but without wearing handcuffs, was apparently planning to return to the capital's Hotel Karibe, where he has been staying since his unexpected return to Haiti on Sunday following 25 years of exile in France. He was taken to the office earlier Tuesday after prosecutor Aristidas Auguste and Judge Gabriel Ambroise decided to continue questioning Duvalier there after spending about an hour with him in his room at the Karibe. 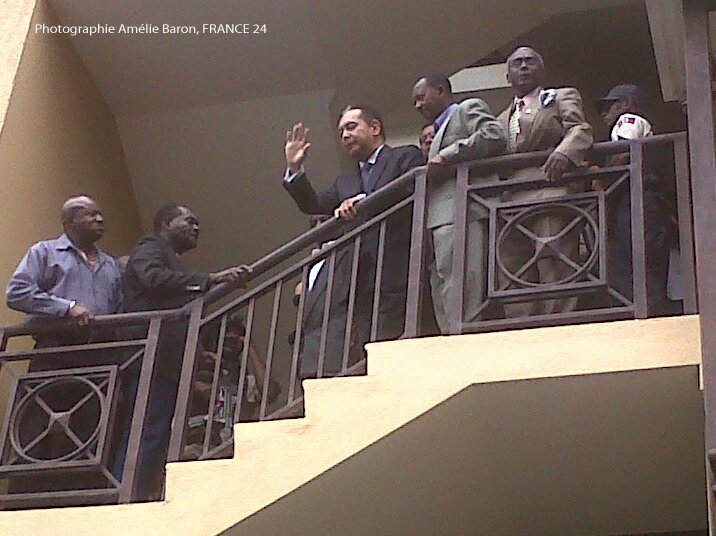 Groups of followers remained in the area around the prosecutor's office to give support to Duvalier, while human rights activists gathered at the doors of the institution to denounce the ex-dictator.